Plotober is a month dedicated to plotting stories! Whether you are preparing for NaNoWriMo or just trying to get your ideas on paper, Plotober is a great way to develop your story and world. Join us for a month full of plotting fun! Click the image above to go to the main Plotober page, or read on for a hint of what’s to come on here on Strike A Spark. On Outlines: The Roadmap of Your Story – coming soon! The Hidden Twist – A discussion on plot twists and hiding them in plain sight. Join the fun! Post about Plotober this month! Are you also planning your NaNo project? Or any story project, for that matter? You can join the fun too! Share the link with me! Either link it here on the Plotober page, or contact me if you’re shy. I’ll add you to the list of Plotober participants on the main page! I have a few slots open for guest posts, too. If you have some awesome advice or experiences to share, contact me so we can talk about it! Check it out: More Plotober! 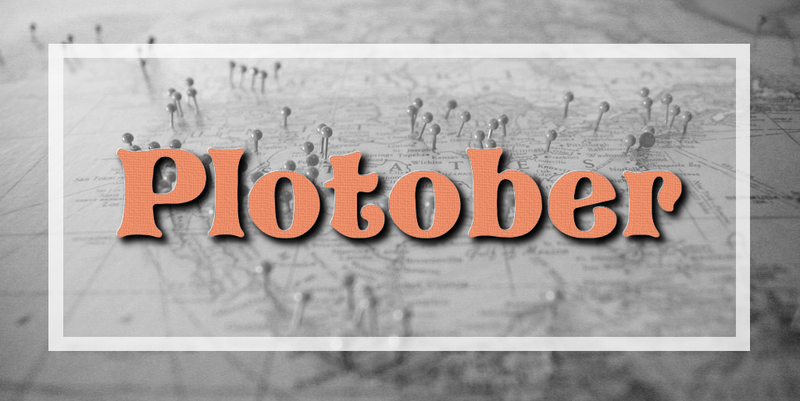 Some of my blogging friends are also posing about their Plotober adventures this month! Check out their blogs for more Plotober fun. Let me know if you are posting about Plotober this month, and I’ll add you to the list!